Brussels sprouts: you either love them or you hate them, but I’m here to convince you to love them. Let’s address something I just learned though. Did you know that the little vegetable I’m referring to is actually Brussels sprouts with an “s” on the end of Brussels? I literally just learned this a week ago and my mind is still blown. How have I lived 30 years assuming they were called Brussel sprouts sans an s? Did you know this?! Surely I’m not the only one who’s been calling these by the wrong name for years. 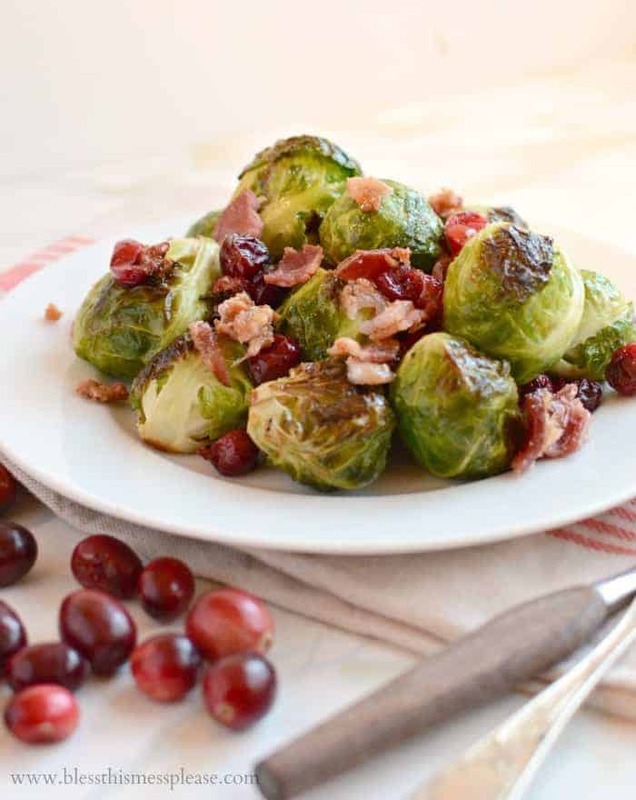 Roasted Brussels Sprouts with Cranberries, Bacon, and Maple is the recipe that’s going to turn everyone into a Brussels sprout lover. Roasted Brussels sprouts are sweet with little crispy leaves on the outside. Adding bacon makes everything better, the fresh roasted cranberries are tart and bright, and the drizzle of maple syrup to finish it off is just the sweet the dish needs. I dare say this dish is delicious enough to make it onto your Thanksgiving table. It’s a fun way to turn this vegetable that has a bad rap into a star. Cook your bacon crisp (you can bake it in the oven or cook it in a skillet on the stove). Remove the bacon and let it cool on paper towels and then crumble it. Reserve the bacon fat rendered from cooking. Preheat your oven to 425 degrees and line a rimmed baking sheet with parchment paper or a baking mat. Wash and trim your brussels sprouts. 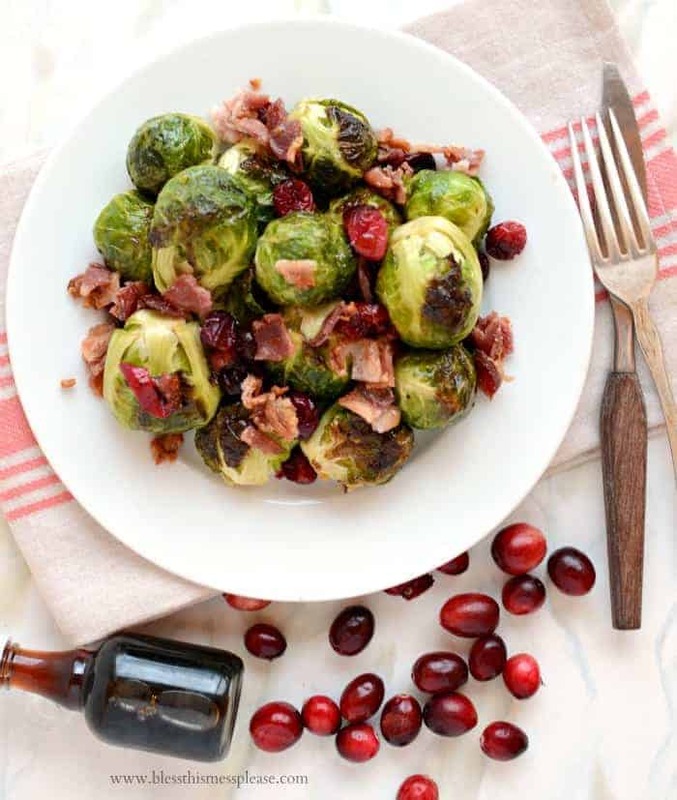 Add the brussels sprouts and cranberries to medium bowl. Add 3 tablespoons of reserved bacon grease and toss to combine. Spread the brussel sprouts and cranberries onto the prepared baking sheet and roast until the brussel sprouts are fork tender, about 15 minutes. Place the cooked brussel sprouts in a medium bowl. Add salt, to taste, the maple syrup, and the chopped bacon. Toss to combine and then serve warm. I’m getting ready to spend Thanksgiving at my sister’s in Idaho and this is the first year that I’m partially in charge of dinner. We normally have Thanksgiving with my husband’s large extended family here in southern Utah and I just bring a side dish. This year, four of my five siblings and a few cousins are meeting in Idaho for dinner. 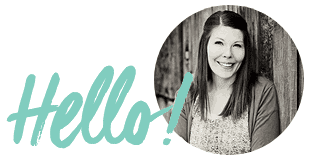 I’m bringing the turkey, green beans we canned this summer, stuff for mashed potatoes and gravy, fixins’ for a huge salad, my fun cream whipper, and a whole slew of crafts, projects, and fun things to do with all the cousins together. I seriously can’t wait! I know I have five kids and all, but it sure makes you feel like an adult when you are in charge of Thanksgiving. Where are you spending Thanksgiving? What are you in charge of this year? Enjoy and have a great day friends! I really pay attention to how things are spelled and how words are used. Did you know that the “B” is always capitalized in Brussels sprouts? Thanks to my attention to spelling detail, I usually notice lots of things like these but hesitate to correct others because I feel like a jerk if I do. This is my second year of cooking all the Thanksgiving feast myself and it definitely feels like a big Adult thing to do. Have fun doing yours! Ha! Don’t look too closely at my posts friend, I try really hard to proofread but I am honestly terrible at it and I know it. If I were fancier (and more prepared) I would pay for an editor because you know I’m a mess. Thank you for pointing out the B I’ll change it! Why is that vegetable so weird?! Ooooh do you even whip up the pies!? That’s so much work for one person! Brussels sprouts are so weird! I used to not like them, but now that I’ve had them done “right” I really do like them. I’m making one pie this year. We will have 7 people for dinner and that includes our picky little kids. 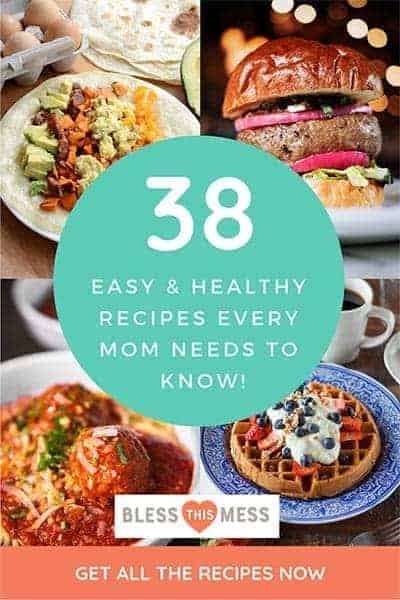 This makes it much easier than trying to cook for 10 or more hungry adults, or a big family like yours! I have found a good organizing tool called a Gantt chart and I’m using it this year to see if I do a better job than I did last year. 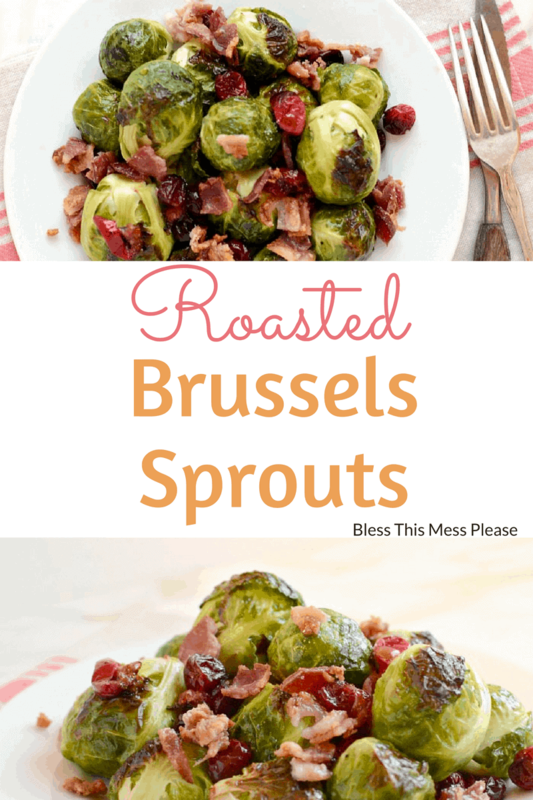 I actually made these….and ate these…..But I had a dilemma…..both the rolls and the sprouts needed into the oven at the same time….and same temp. But…I couldn’t risk the obnoxious(I’m sorry, tis true) smell of the sprouts infecting my/your pumpkin rolls. Hmmm….off to the barbecue they went..its basically an oven when the lid is closed…..worked like a charm! Honestly….these were really good! I loved the bacon and maple syrup masking!! He still made the crazy, distorted face a baby makes the first time they try something new and yucky, but….got one down him. I will make these again when I travel to the family up North….they eat weird veggies! Thanks! !